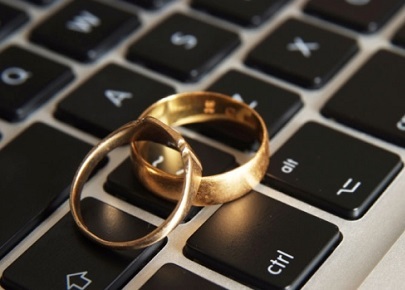 Internet dating sites, chat rooms and even social networking sites have become the operation center of thousands of different types of fraud schemes, including marriage scams in the Philippines. Many people from foreign countries have become victims of bogus internet friendships and romantic relationships operating mainly from Manila and Cebu. The fact is, there are thousands of Filipinas searching for a better life, and targeting foreigners online has become a way to survive. Private detectives in the Philippines have witnessed an increase in the amount of cases of love fraud. What used to be a sporadic situation, has now spread all over the Philippines and has become the main source of income of many women in the country. Although many alerts are already spreading on the internet, many people still do not know how to identify if they are involved in a scam. Love is by far one of the most severely damaging ways to get ripped off. In the U.K. alone the losses of romance scams reached £34 million in 2014. Online love is a threat that is rarely foreseen, especially because the fraudsters work on gaining their victims´ trust before making any moves, and they are very good at what they do. The relationship begins with great empathy and cordiality and quickly evolves into what can best be described as a very personal seduction. Before the victim notices, they are out of pocket for big bucks. Marriage scam victims often say things happened quickly and there were no real signs of what was going on, but sooner or later they will find out there has been considerable planning and preparation. Anyone can be a victim, even the most skeptical. This kind of fraud occurs on a daily basis and it’s why you have to seriously consider a professional dating background check when starting a relationship with someone overseas, especially when this person comes from a high risk country for fraud like the Philippines. Our personal life is always our greatest vulnerability and being cautious will help avoid broken hearts and financial disasters. Do not wait until you can find a reason to feel uneasy. Verifying the authenticity of a potential spouse does not make anyone a bad person, it just means you are being precautious. According to investigators from Philippine PI, one of the biggest mistakes that victims do is to hire a background check in the Philippines until they find a red flag. Sometimes red flags will appear when the time, effort and money spent in the relationship has been quite a lot. Try getting verification as soon as you find an interest in someone as a potential wife. If things are clear from the beginning, you will feel free to continue the relationship. Stay safe and get the facts early, not after damage is done. Treat with caution any request to send money. Scammers request their victims to provide funding for marriage visas, airline tickets, legal documents, customs duty, etc. 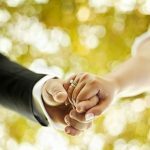 Yes, many people in authentic relationships have indeed requested for help to their partners because their financial situation is most likely not comparable to that one of a U.S. or Australian citizen. However, the best is to keep a keen eye and do some verification before forwarding funds. Meeting in person is no guarantee of safety. Philippines marriage scammers are often real women, unlike the schemes that happen in other countries. They often do exist, their pictures are real (or stolen), and they will meet with you on your Philippines vacations. But beware! Many of these scammers are already married, they have children, and they have no intention to marry with a foreigner. Their job is to trick people into financially supporting them for long periods of time. If it is the case that you have met in person, surveillance services in Manila or the place where the subject resides is extremely helpful to uncover any fraud situation. Investigators often hear stories of foriegners traveling to the Philippines and meeting the subject’s family, and a “cousin” being introduced when in fact it is the subject’s boyfriend, criminal accomplice or husband. At the end of the day, if the female is producing income for the family, many parents and siblings are willing to turn their head. Marriage scams are unfortunately more common that what we would like, but the tools to prevent this from happening to you are available. Contact us if you need to have your soon to be bride verified! Professional private investigators can verify ID, passport and document samples, check criminal, court and marriage records, verify education, address and employment, verify identity and date of birth, check passport and travel records, screen the case for fraud and much more. Thanks for the report. I am glad I finally got this weight off my shoulders.